Last night (Feb. 21), Maren Morris returned to what she called “the scene of the crime,” when she brought the Music City community to music venue The Crying Wolf in East Nashville, the place where Morris held her debut album launch party two years ago, and also where she shot the cover for her debut Columbia Nashville album, Hero. She also thanked her co-writers Jimmy Robbins and Laura Veltz, as well as longtime champions, Big Yellow Dog Music’s Carla Wallace, and her manager Janet Weir. “Carla, you were one of the first people to sit me down and forcefully say, ‘You are an artist. You’re not just a writer. Stop saying you are just a writer, cause that’s not true. I remember really needing that fire under my a**. Janet, thank you for getting so excited with me about my demos. I feel like I can talk to you about anything and you are right there with me. You inspire me every day to be the example to someone, that you don’t need to be a b**ch to get things done. “I Could Use A Love Song,” which has also been certified Gold, is the third single from Morris’ debut album on Columbia Nashville. “No matter how long of a career I get, this will always be one of the most important ones I’ve been a part of,” said ASCAP writer Jimmy Robbins. “You are two of my favorite people in the world.” He also gave thanks to busbee, Weir, as well as to Round Hill and Columbia Nashville, and to his wife Sarah Robbins. 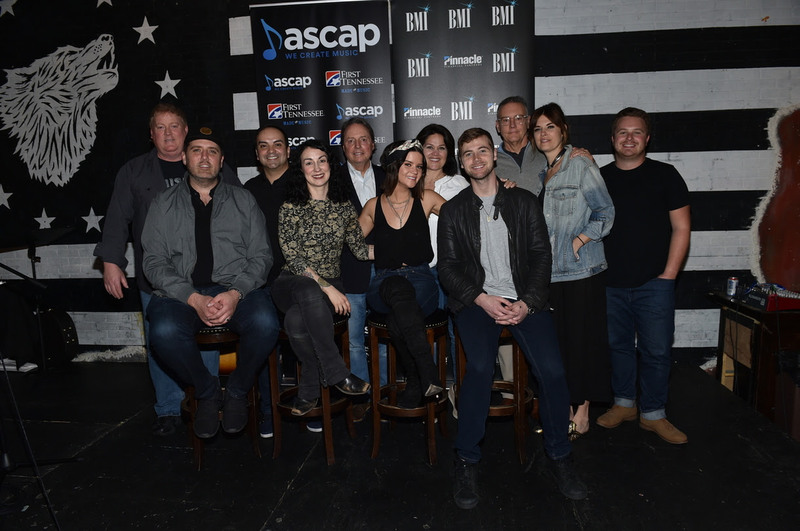 Among those celebrating were Big Yellow Dog’s Carla Wallace, Big Machine Music’s Mike Molinar, Round Hill Music’s Sarah Robbins and Mark Brown, Sony Music Nashville’s Randy Goodman and Shane Allen, and Morris’ co-producer on the track busbee. 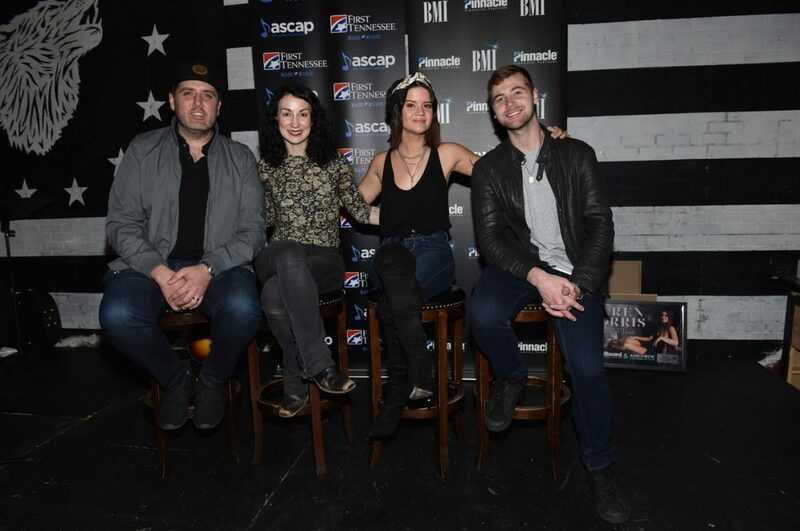 Others who were on hand to celebrate include MusicRow Magazine’s Sherod Robertson, CMA’s Brandi Simms, and Country Aircheck’s Lon Helton, who noted that Morris is a rare artist to have earned Grammy, CMA, and ACM Awards, all before notching her first solo No. 1 song. Pinnacle Bank was also a partner at the No. 1 party. “What’s going on with Sony Music Nashville now, in the past three years was defined in such a huge part by you Maren and you Janet,” Sony’s Randy Goodman said. “You have redefined the legacy of these great imprints, of Columbia and brought a new sense of purpose and focus for us and you chose to plant your flag with us and we will never, ever forget that. It has defined who we are and the success that we are having. We are very, very proud of that.